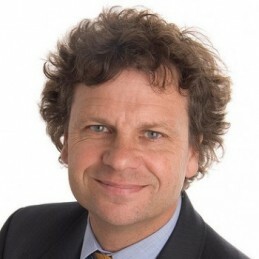 Simon McKeon AO (born 1955) is an Australian businessman, philanthropist and sportsman. He was named Australian of the Year for 2011. Although a prominent investment banker and record-breaking yachtsman, it is Simon’s efforts to support multiple Australian and international charities which has earned him great admiration. When Simon was a diagnosed with multiple sclerosis over a decade ago, he vowed to make every day count. So, despite a successful corporate career, Simon decided he didn’t want to put off serious engagement with the community sector and in 1994 he transitioned into a part-time role as Executive Chairman of Macquarie Group’s Melbourne office, enabling him to support a range of causes and organisations, including joining the board of World Vision Australia. Simon was the Founding Chair of MS Research Australia from 2004 until 2010 and has also previously served on the Boards of MS Australia and MS Victoria. In 2010, Simon received the John Studdy Award which is MS Australia’s highest honour. He was also the founding president of the Federal Government’s Takeover Panel.